Really, this was my only Z song that didn't come from a Zumba CD. When she woke up this morning, it was not to the expected feelings. This the W-day, when her daughter put on a white dress and walked down the aisle. She should be a proud mama, not a lazy lump of black lard. It's not that she wasn’t happy Asia was getting hitched. Lord knows it was high time she and Jefferson settle down and started a family all official like. But Martha had celebrated their union years ago when she saw how in love they were. And then her baby announced a child on the way. Thus the wedding. Jefferson refused to have a child without a legal marriage. No, today was just about symbolism for a thing that was old. What really made her want to stay in bed was that this day could possible be the last she'd see her daughter. Asia and Jefferson were gonna honeymoon on the moon, and then head straight out for the colony on Ceres. Asia had been transferred there and Jefferson was following. Another reason for the wedding actually. You could only bring family with you if you were transferred, and that was limited to your spouse or child. Martha, she was going to be left here on Earth. Soon to be alone because her mother wasn't gonna last much longer and her world revolved around Asia. She knew this would be her last time to see her daughter, for she doubted Asia would be coming back before she passed. She would never see her granddaughter. Martha knew she needed to go to the wedding, but all she wanted to do was stay a lump under the covers. Maybe get up only to grab a bottle of gin. Instead, she dragged herself to the mood chamber. The computer took one look at her and knew what she needed. When Martha opened the door, she was meet with green rolling hills and a flower lined path through them. The sun was bright, the birds were singing, and as she stepped onto the cobblestones a butterfly flapped by her. Martha held out her hand and the small creature landed on her palm, wings fluttering to reveal the orange and black pattern. As she watched, three more came to settle on her hand. A breeze ruffled her hair, the scent of lilies and the sea on it though she couldn't see any water. Martha knew though that if she followed the path she'd find an ocean. So she walked and found herself on a rocky beach. The butterflies were still in her hand and there were starfish in the tidal pools. Really, who could be unhappy here? When Martha exited the mood chamber her face was smiling and her eyes bright. Today was the day of her daughter's wedding, she had every reason to be as happy and excited as the bride. She sung to herself, full out so the sound bounced around the room as she picked out a dress and started doing her make-up. Some times I feel like I need one of those chambers. Goodness, that was the last one! 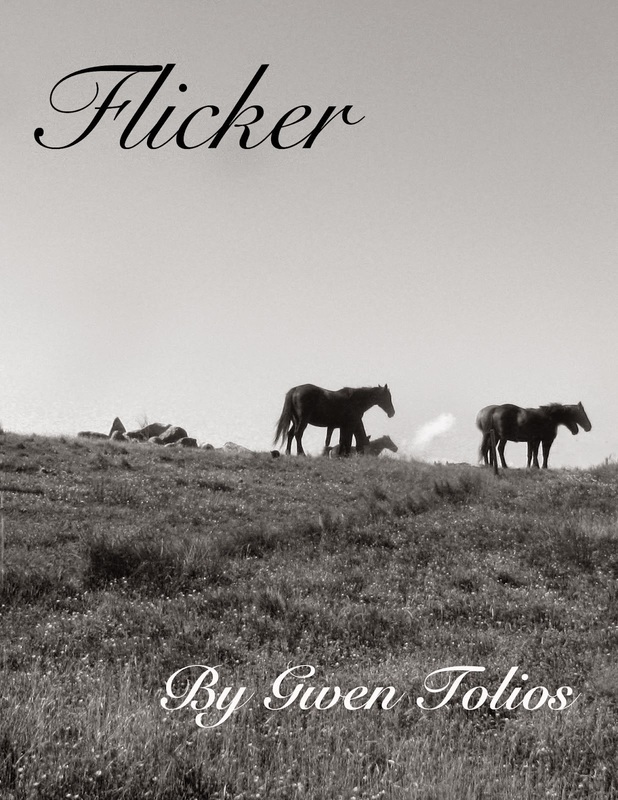 I loved doing the A-Z challenge this year, and if you liked my short stories, why not by my novelette, Flicker, on Kindle? Yeah, those chambers sound nice. Congratulations for reaching the end of the challenge. Your stories were awesome.